Slice a cantaloupe in half, and then slice roughly a half inch off the bottoms so both halves sit flat. Scoop out the seeds. Stir together cottage cheese, honey, vanilla extract, and lemon zest. 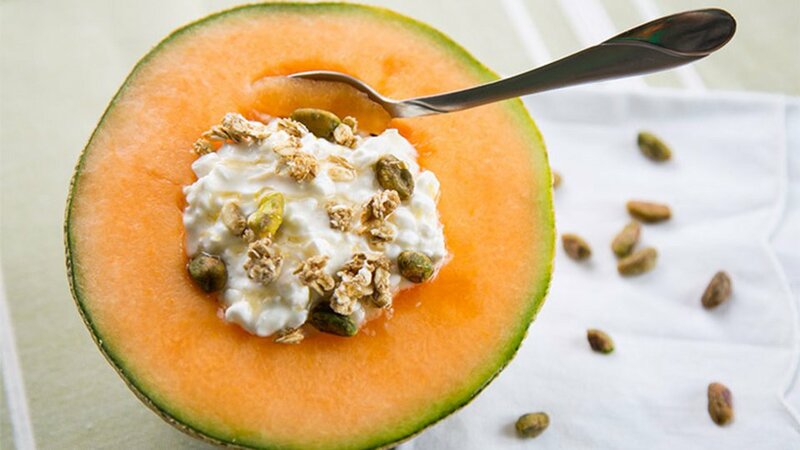 Stuff half of the cottage cheese mixture into each of the cantaloupe halves. Sprinkle on granola and pistachios.